Recently I've been going a little crazy in H&M, sometimes I will go in and there is nothing i like, then another time everything is catching my eye so I don't really know what to make of that, do any of you find this? But at the moment they have some really nice things, and they are sooo cheap in comparison to a lot of other high street shops! These are a few tops I got, despite not being much of an animal print fan I absolutely LOVE this shirt, it goes with so many things, for casual day time outfits or as an evening/party type top. It looks kind of weird on the picture but my proper camera isn't working right now so please bear with. I noticed they do a plain white version of this shirt too which I will definitely be purchasing because I love it. Again the quality of the photograph kind of drained the jumper, in person it has a slight pinky tone to it, its so comfy and goes with pretty much everything I own! 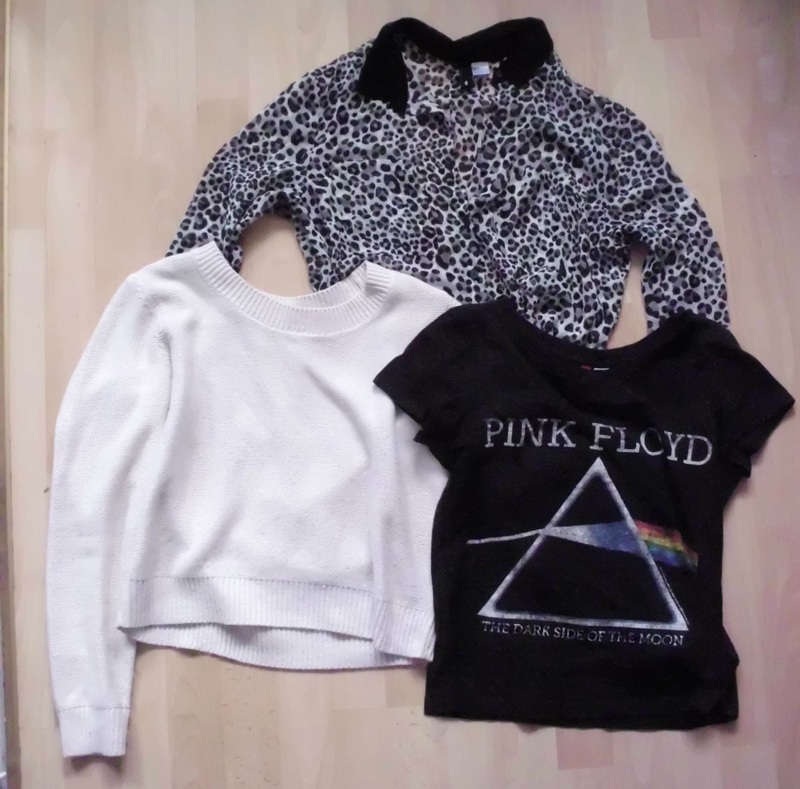 The final top I got was the Pink Floyd jersey tshirt. Not going to lie I have never ever listened to them but I think the LP cover design is really nice. Next is bottoms. The skirt isn't from H&M but i bought it in the same shopping trip so I'm just throwing it in there, it's actually from Primark and is just a plain faux suede body con skirt, and I had to get it because it's in burgundy which is a colour I seriously love at the moment! I wouldn't usually go for white shorts as I'm not a fan at all but I bought these to have a play around with and dye some crazy colour at some point! Finally the denim hotpants, they are kind of plain at the moment so I've got some Broderie Anglais to attach as a trimming round the bottoms to make them look pretty so watch out for a future post about that! 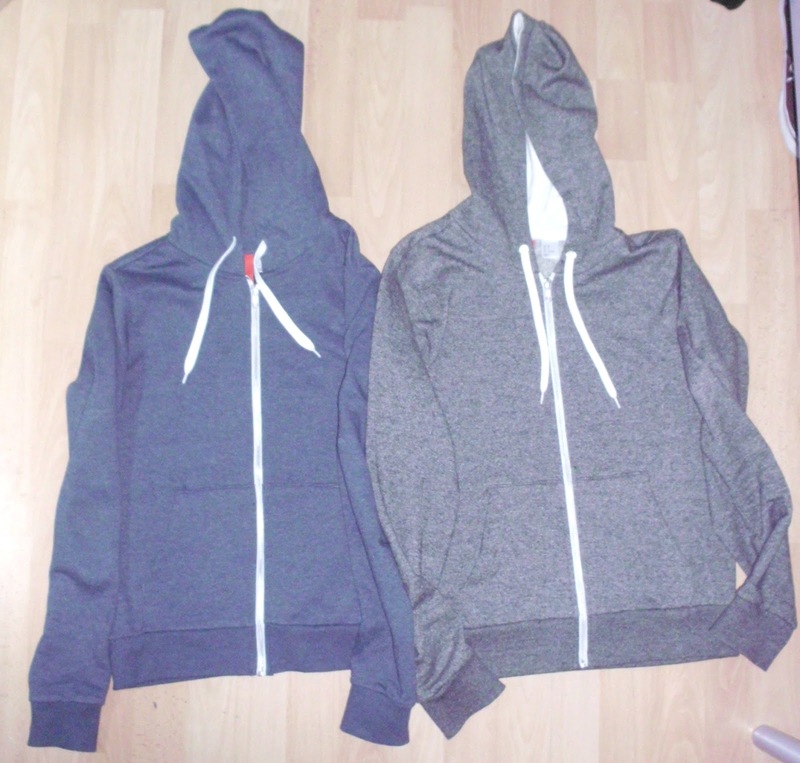 The two hoodies are a bit random but I have been after one which fits me properly for a while now, mainly for summer but also to wear at the moment as another layer under coats etc etc. I had my eye on one in Topshop but when I stumbled across these in H&M at over half the price I had to buy them, if you are gunna get one though I recommend you get a size bigger than normal, I ended up getting one in a 10 and one in a 12, considerably than my usual 6/8 size, they are very small fitting but soo comfy!! While I was standing in the queue to pay these tiny nail varnishes caught my eye. It was so cheap for a set of 4, but they are in a tiny bottle. I loved the pastel/candy colours and the quality of them actually surprised me, I wasn't expecting big things as they were so cheap but they were actually quite good. I also bought this nail varnish from Barry M (not quite H&M I know) because I have been wanting a nail varnish in this greeny colour in a while, it has hints of lots of other colours depending on the lighting. When it's on you can't see as many of the pigments as when it's in the bottle but I still love it! Love the H&M patterned shirt. Looks like you had a good shopping trip! Thankyou, yep I did haha!